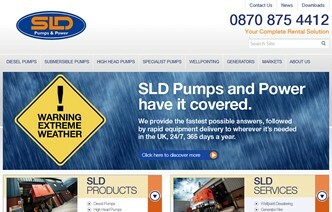 SLD Pumps and Power are pleased to announce the release of their newly redesigned website. Immediately you will notice streamlined menus, simple navigation and easier access to the information our customers need. Additional sections and features are planned for phase 2 development, to ensure the new website continues to provide a useful, informative portal for our customers to get to know SLD and our products a little better.